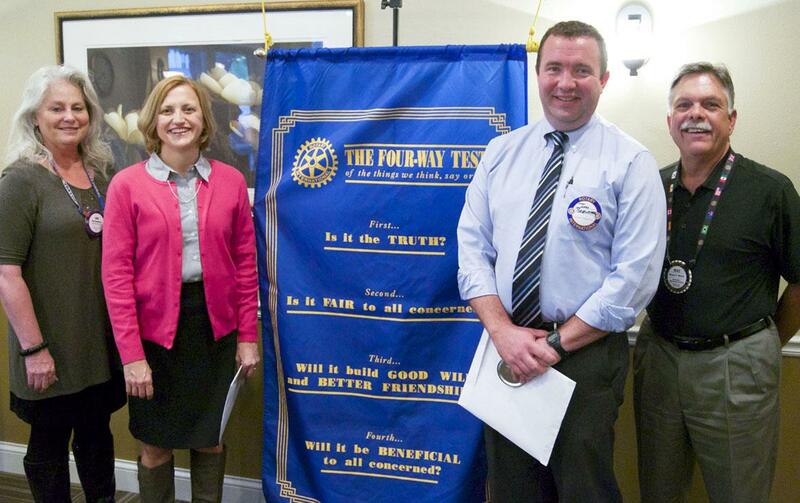 Rotary File for May 10, 2016 | Rotary Club of Iowa City A.M.
Today's meeting featured induction of two new members, Susie Poulton and Josh Brewster and a "What Jazzes You Up" moderated by Casey Cook to find out more about our newest members. AM Rotary greeted two new members on May 10, Susie Poulton who was sponsored by Deb Dunkhase, and Josh Brewster, sponsored by Mike Messier. More about these individuals ing the program section. Salmon is available at $22/lb from Iowa MOST. There is a form so individuals can sign up for as small a portion as one lb. and the orders will be put together into one or more 25 or 50 lb. order and divided up in July when the shipment comes in. The sale will run through June. IA MOST gets $10 of every pound sold. Brian Adamec gave the run-down on the latest sale items from our weekly AM Rotary Store. We made around $39 last week. Keep it coming! There were many happy bucks shared. Casey Cook and Deb Dunkhase recorded the names of members who have not done an introductory "What Jazzes You Up" and we will add you to our program line-up over the next few months. This week's "What Jazzes You Up" featured our newest members and Casey added his usual wit to keep the interviews informal and fun. Josh Brewster grew up in Mystic, CT, a seaport community. He flies a four-passenger plane on occasion. He is the Director of Social and Family Services at UIHC. As a youth Josh was a member of the Boy Scouts and camped monthly for eight years. He met his wife in the Peace Corps in Bulgaria and she happened to be from Iowa. They enjoy returning to Bulgaria to see friends they met in the Peace Corps. Susie Poulton grew up in Bellevue, IA on a dairy farm among 11 siblings (mostly brothers). The family did not get away from home much during her youth because of milking about 100 cows two times per day the old fashioned way (by hand), but they went camping a lot. At school her primary athletic activity was cheerleading. Susie is Heath Services Director for the Iowa City Community School District. Susie's spouse if from England and so the family takes trips there often to see relatives and to enjoy the countryside. Josh: When asked what distinguishing characteristics are typical of people from Connecticut John responded that having a sarcastic sense of humor would be one common trait, and he fits the trait. When he lived on the east coast he enjoyed sailing, being near the ocean, and being from a small town. Susie: Susie loved being from a small town, and even though she did not want to continue in the farming life, she enjoys getting together with her family and other farm families. Josh: When asked, what are people from Connecticut called (like, people from Iowa are Iowans) Josh responded that they are Nutmeggers because that is something that grows there. Susie: When asked what she was looking forward to getting involved in with Rotary she said she looked forward to hands on service opportunities. Josh: Agreed with Susie, and added that the community connections are important to him as he becomes more active in the Iowa City community.